"Nush Olsun!" ("Bon Appetite!") begins every meal time in Azerbaijan with rich and delicious national cuisine, delighting both soul and flesh. Azerbaijanis cordially invite their guests to try the national cuisine which they are very proud of. Restaurants and cafes all over the country offer a variety of national meals, representing a splendid gamma. Azerbaijani cuisine is a very delicious and diversified. It is distinguished with its originality and refined taste. There is a lot to say about Azerbaijani cuisine. The best thing is to try the taste and aroma of this rich cuisine. Diversity, sometimes simplicity and extraordinary features of the serving dishes are able to attract any gourmet. A variety of vegetables and fruits, as well as spices could make the Azerbaijani cuisine distinguished, making it unforgettable. Azerbaijan is one of the oldest agricultural regions of the East. That is why baking of bread is a very ancient tradition in Azerbaijan. Here you can pamper yourself with flavor and warm sorts of bread including Tandir Chorek, Appek, Lavash, Yukha and Fetir. Originating in the regions of the country, this irreplaceable baking of Azerbaijani table is cooked in Tandir, Sadj, and ovens such as Kura and Sengek. The huge amount of Azerbaijani flour food - Khingal, Dushbere, Arishte, Qutab, Gurze - are the very meals to warm you inside in the cold winter outside and tincture redness to your cheeks. Kebab is a perennial favorite in Azerbaijan, known for some as Shashlik or Barbecue. Our ancestors used to thread their prey onto skewers and grill it over a fire. This culinary technique has survived and improved over thousands of years. Oh, how it is amazing to wrap juicy Kebab in Lavash and enjoy this unforgettable taste, forgetting about your diet for some time. If you want to experience several flavors, and still remain satisfied, then you need to get acquainted with the traditions of Azerbaijani cuisine. A "King" of Azerbaijani cuisine is considered to be "Plov", a rice dish which is difficult for an inexperienced cook to prepare. The flavor of Plov from saffron-covered rice spreads the whole area and makes one's mouth water. With more than 60 different kinds, this delicious dish is made of cherry, pumpkin, fennel, dried fruits, bean and many others. It's not a secret that Azerbaijani cuisine is for those who love to eat well. However, do not think that it consists only of fatty and heavy foods. Azerbaijani cuisine is always a pleasant surprise for the visitors. Such dairy product as Ayran (variety of dairy drink) often serve the table as an accompaniment to grilled meat or rice. A large number of soups, such as dovga, piti, kufte bozbash, ovdukh, erishte soup, chicken soup and dushbere may be an enjoyable feast for your stomach. 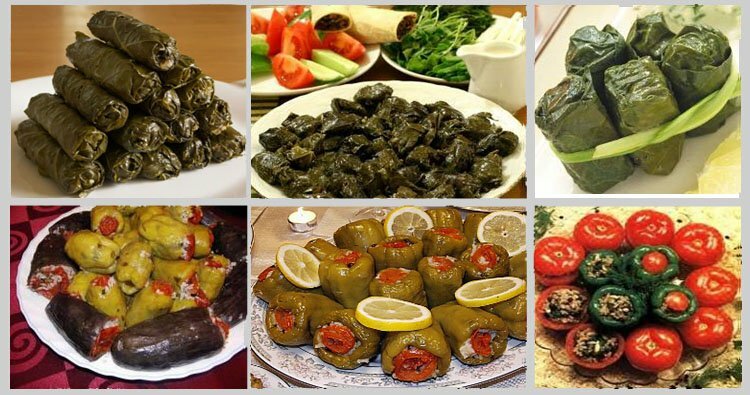 You also should surely try appetizing vegetable dishes: Kuku, heftebejar, lobya chigirtmasi and many others. We promise that you couldn't resist the temptation to try Azerbaijani snacks, which is irreplaceable addition to Azerbaijani table. You will find a rich assortment of snack types in Azerbaijan including pickled onions, pickled cabbage, pickled olives, many other pickled fruit and vegetables, choban salati, and spicy ajico which increase your appetite, especially in those who suffer from thinness. Azerbaijani cuisine doesn't leave aside the sweet tooth. Delicious Azerbaijani specialty as pastries and sweets can be rightfully called the crown of the national cuisine. There are over 30 varieties of sweets and each area has its special kind. Shekebura, pakhlava, gogal, kyata, tykhma, kyulcha, badambura and many other soft, airy and sweet pastries will create unusual boom in your mouth and increase your happiness hormone. Sheki halva--a unique art, quymaq, khashil are very delicious sweets trying which once, you would like to come back to this taste again. Murabba (jam) is the main dessert at Azerbaijan's table, which is served at every tea party. Nothing can take the place of this wonderful jam for Azerbaijanis. Murabba in Azerbaijani refers to sweets made by boiling of berries, fruits, nuts or some vegetables and flowers. Besides all these, murabba is used for treating colds. Such kinds of murabba as dogwood, blackberries, currants, rich with vitamin C in the Azerbaijani houses usually serve as the first aid during the flu. Every nation has its favorite beverage. Russians like to drink kvass, Germans and Czechs like beer, Bulgarians like boza, Americans like Coca-Cola, while Azerbaijani people prefer to drink sherbet. Sherbet is considered the most refined of soft drinks in Azerbaijan. Sherbets, as a symbol of celebration, are consumed at weddings, dinner parties, banquets and similar events. Flavor and sweet sherbets made from rose, apricot, saffron, rose-pomegranate, lemon and many other fruit quench your thirst in a hot summer day. Dishes of high nutritious qualities, sharp tastes and nice appearances have become typical for the Azerbaijani cuisine. If to paraphrase the expression "To see Paris and die" to "To taste Azerbaijani cuisine and die", I think, are the best explanation to convey the tastes of the national meals.